Within Google Analytics, you can create Filtered Views to better analyze data that meets certain parameters. This document outlines how to create Filtered Views in Google Analytics and connect a Filtered View directly to Databox. Click Admin, and select the Account and Property where you want to add the new View. In the View column, open the dropdown menu and click Create New View. Enter a name for your new View and click Create View to save. Click Predefined filter to select from the predefined filter types. Learn more about Predefined filters here. To build a Custom Filter, select Custom filter. Learn more about Custom Filter fields here. NOTE: Filters require up to 24 hours before Google Analytics fully applies the conditions to your data. Select the appropriate Google Analytics Account, Property and View in the connection window. 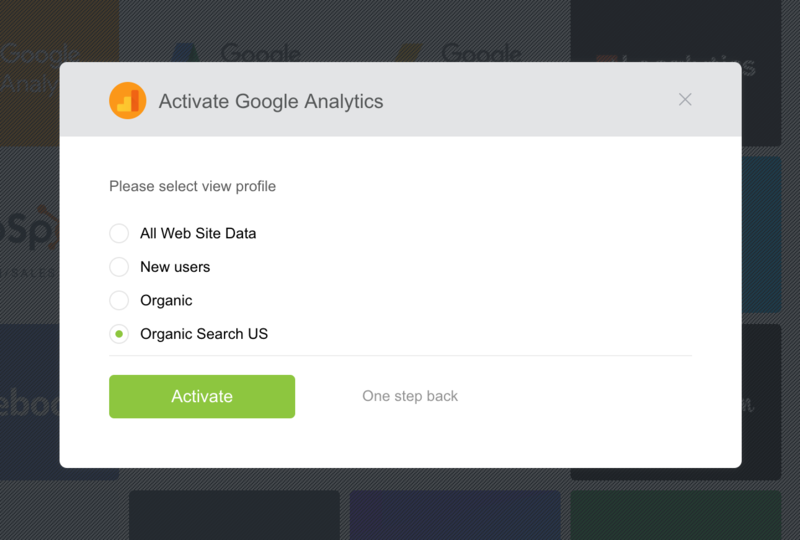 If there is only 1 Property or View for the Google Analytics Account, they will automatically be selected in Databox.